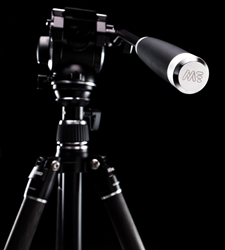 MeVIDEO’s sleek design and unmatched usability provides on-the-go filmmakers with an exceptional video tripod experience. Launching via Kickstarter provides an incredibly valuable research tool that allows us to confirm not only our consumer’s demographics, but more importantly, understand their wants, needs and desire for future products. MAC Group is proud to announce that their MeVIDEO brand, which launched two weeks ago on Kickstarter with two travel video tripods, will be formally added to their roster of global brands in January 2018. The MeVIDEO brand will focus on the film and video market with an emphasis on beautiful and thoughtfully designed travel video gear. MAC Group took a very different approach when creating the MeVIDEO brand, starting with the product itself, working with an outside industrial design studio to bring a new design aesthetic to this product offering. The crowd-funded launch of MeVIDEO represents a new go-to-market strategy for MAC Group across several fronts including research, demand creation and community development. "Launching via Kickstarter provides an incredibly valuable research tool that allows us to confirm not only our consumer’s demographics, but more importantly, understand their wants, needs and desire for future products. This level of insight becomes invaluable as we continue to innovate across multiple categories and anticipate the needs of today’s ever-evolving consumers. We are not only determining proof of concept but creating demand and engagement in advance of our anticipated broad scale retail launch" said Jan Lederman, MAC Group President. Reverse folding legs allow for a more compact folded form that makes it perfect for traveling. Integrated Leveling Platform for precise, intuitive positioning of the camera on the center column without needing to adjust legs. Removable Flat Base Head featuring ratchet-style metal adjustment knobs for leveling. Head can be used on other flat surfaces such as certain sliders, jibs, half ball adapters and more. Split/center column allows for maximize flexibility as well as provides the ability to get very low to the ground. Support for multiple cameras ranging from the Sony A6500, Panasonic GH5, Sony A7SII, Canon 5D Mark IV to the Canon C100. Independent locking positions for the legs allow the tripod to be setup anywhere. Integrated, stainless steel spikes can be expanded or retracted into the rubber feet for stability on any surface. Converts to a monopod. Simply unscrew the center column and combine with the padded leg. Available in anodized aluminum or carbon fiber in black or titanium and comes with a padded canvas carrying case for additional protection when traveling. MeVIDEO launched their Kickstarter campaign with the goal of raising $50,000. Kickstarter contributors will receive a discounted rate of $349 for the aluminum and $499 for the carbon fiber model. When MeVIDEO publicly launches in early 2018, the retail price is expected to be $499 for the aluminum and $699 for the carbon fiber model. MAC Group is a sales and marketing company dedicated to supplying photographers, videographers, educators and students with the world's finest image-making tools as well as support, education and inspiration. For more information on the MAC Group, please visit: http://www.macgroupus.com.